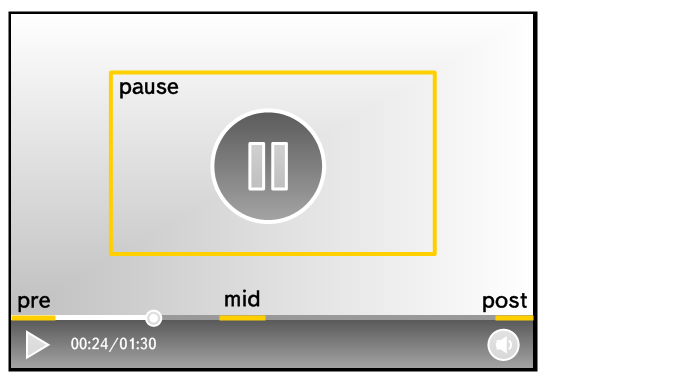 Pause-roll: when the "Pause" button is pressed. Pre-roll: no more than one. Mid-roll: no more than seven. Post-roll: no more than one. Pause-roll: no more than one.